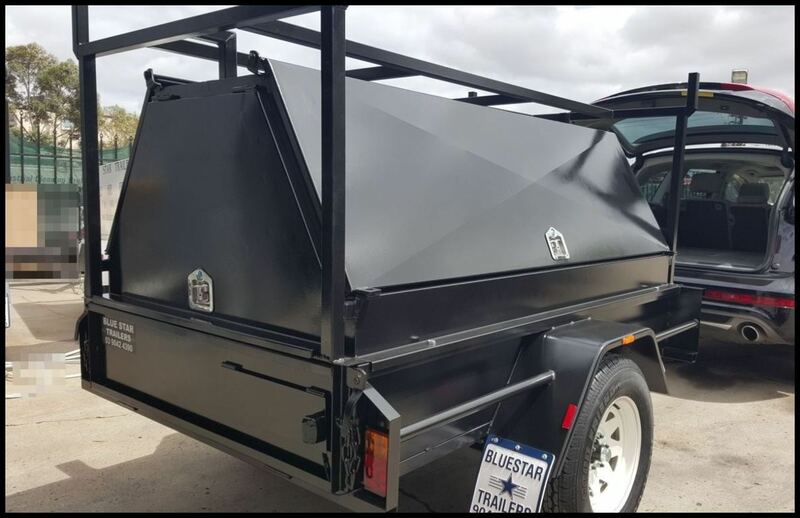 If you’re a carpenter, labourer or any other type of tradesperson on the hunt for quality tradesman trailers for sale in Melbourne, look no further than Blue Star Trailers. 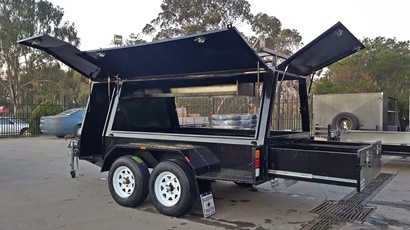 As one of Melbourne’s premier suppliers of Australian-made work trailers, we have tradesman trailers for sale in a variety of sizes and styles – perfect for transporting all of your tools and supplies safely. 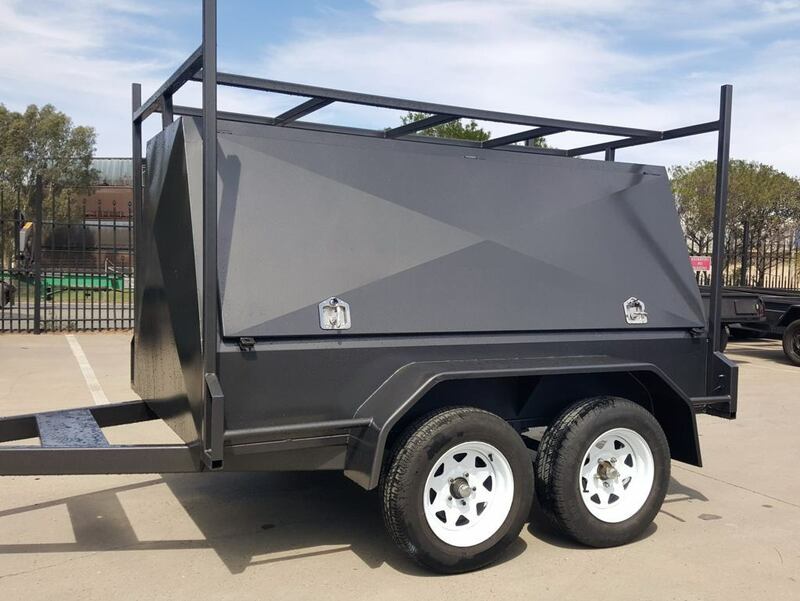 If we don’t have an existing model that suits your specific needs, we also specialise in custom tradesman trailers, working with you to create exactly what you’re after. 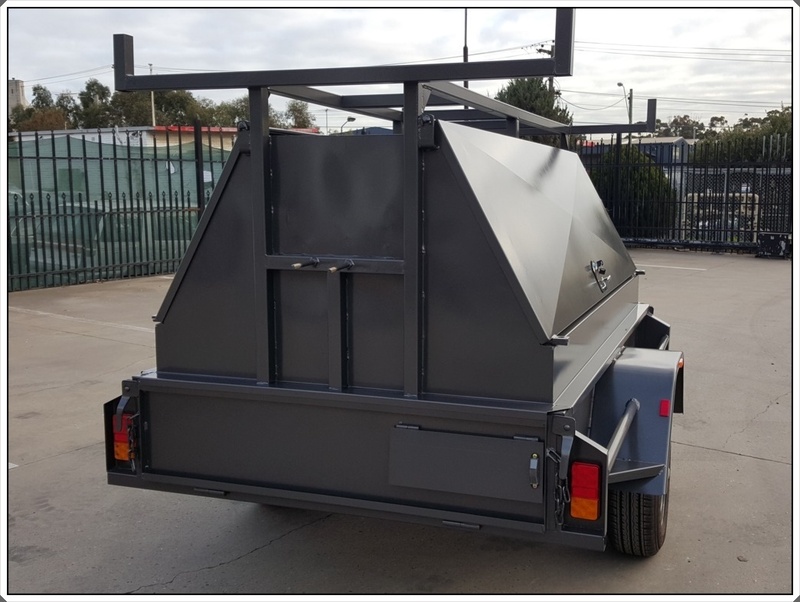 Our durable 7 x 5 tandem tradesman trailers come packed with features, including a tough 830mm trade tool box, hydraulic brakes, two side doors, rear door box with shelves, ladder rack, T-Locks, LED lights, and an impressive 2,000kg gross vehicle mass. This product also comes with 12 months of structural warranty and optional extras, including your choice of colour and rocker roller suspension. 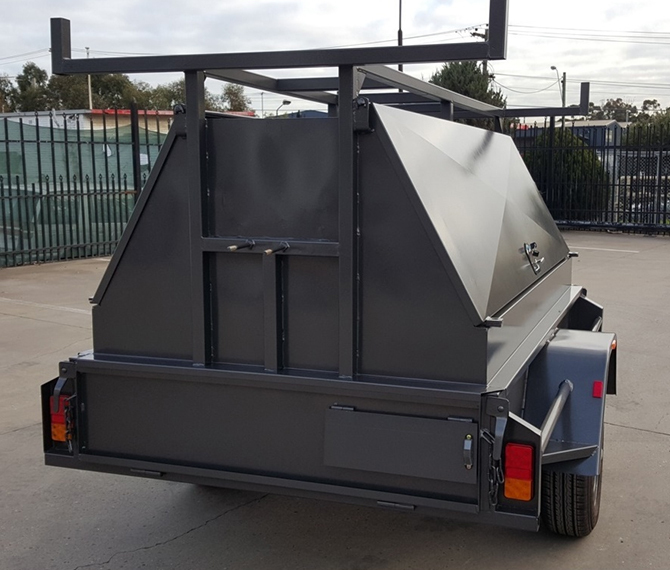 If you require something larger to transport your work tools, our 8 x 5 tandem tradesman top trailer is just the thing. 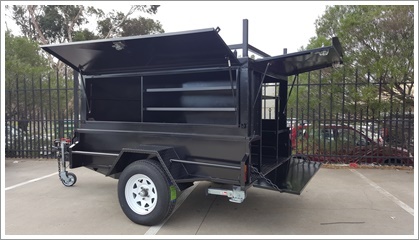 Boasting a 2,000kg gross vehicle mass, these durable tradesman trailers come complete with a generously sized 1190mm trade tool box, 7 leaf slipper suspension, hydraulic brakes, smooth guards, heavy duty gas struts, a handy ladder rack, T-Locks, LED lights, two coats of hammertone black paint, two side doors, and a rear door for easy access. 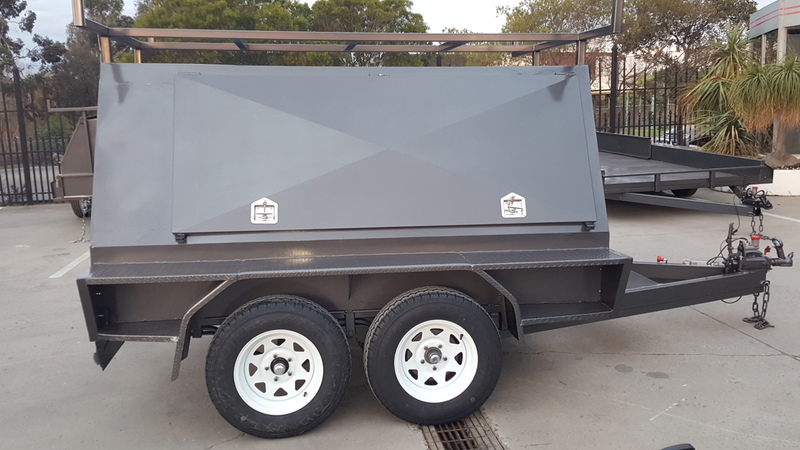 In addition to standard features, we offer a number of optional extras for our tradesman trailers in Melbourne. These include rocker roller suspension and your choice of colour – a great way to personalise your new tradesman trailer! 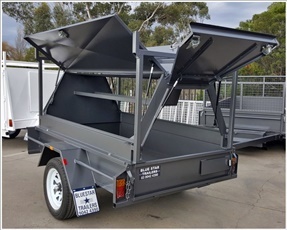 Call Blue Star Trailers today on (03) 9042 4390 to learn more about our tradesman trailers for sale in Melbourne.